What is it that makes La Molina’s chocolate so outstanding? In their words, “The family atmosphere, the drive to always do our best...and the fact that we ourselves are chocolate lovers dedicated to real, good food!” La Molina uses only the highest quality of ingredients in their small Tuscan workshop. 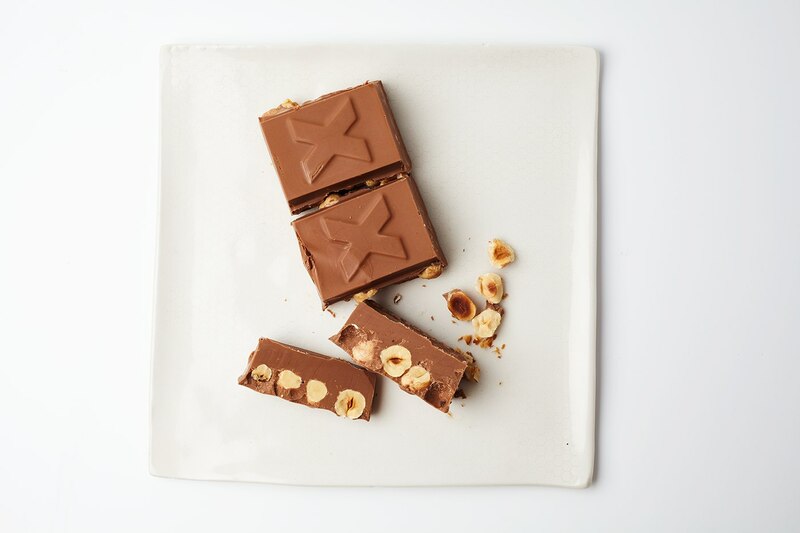 They start with a blend of South American and Madagascar chocolate and the incredibly flavorful “Tonda Gentile” Piemonte IGP hazelnuts. They add real Madagascar vanilla and a small amount (0.3%) of lecitin, extracted from non-GMO soy, a natural emulsifier that is frequently used in chocolate production to stabilize the chocolate, ensure a smooth consistency, and protect its flavors. The milk they use in this milk chocolate is powdered European milk, which compared to liquid milk enhances the density of the chocolate. There's a New Chocolate in the USA!